Left to right is Jennifer Pageot, Carla DeGraw, Lynne Eustis, Aaron Smiley, Martha Smiley, Vic Williamson, Mary Melcher and Julie Davis. 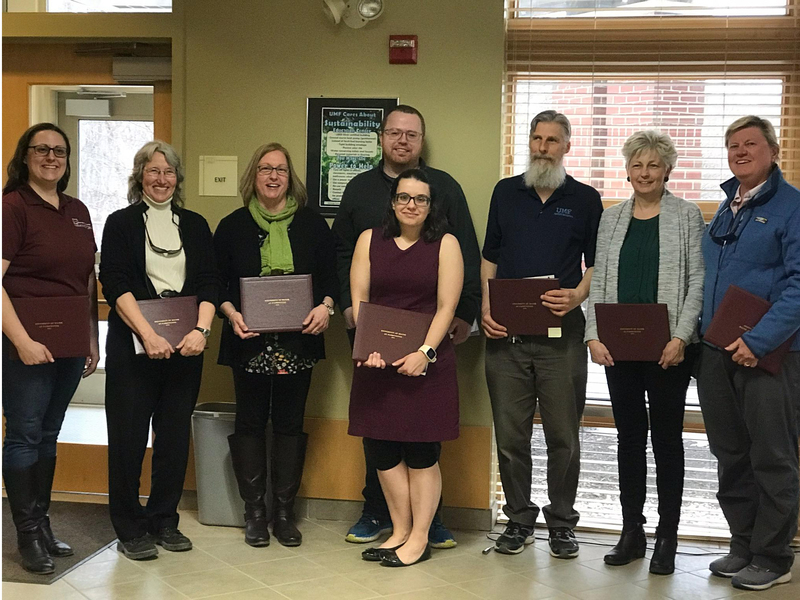 FARMINGTON - Members of the University of Maine at Farmington staff were recently recognized with the University’s annual Distinguished UMF Staff Awards. The program was created in 2013 to highlight the dedicated and excellent service UMF staff members provide every day to assist UMF students, campus colleagues and members of the public. Above and Beyond - Julie Davis.